The Hilton Malta is situated on St Julians’ Portomaso waterfront, where you can watch the yachts sailing in from the Mediterranean, while each of the rooms overlooks the marina or the sea. As evening comes around, choose from three fabulous onsite restaurants. The award winning Blue Elephant is the pick of the lot, serving some exceptional Thai food, and the Merkanti Beach Club is the perfect place for a sundowner with views over the ocean. 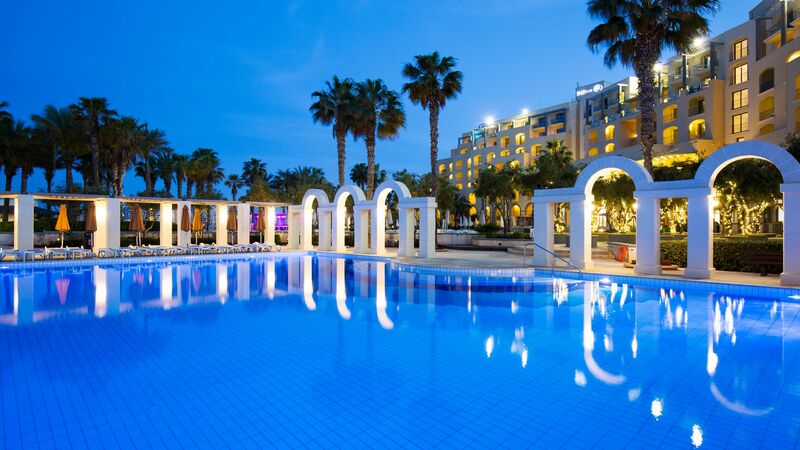 St Julian’s is a lively resort on the outskirts of Malta’s stunning capital, Valletta. 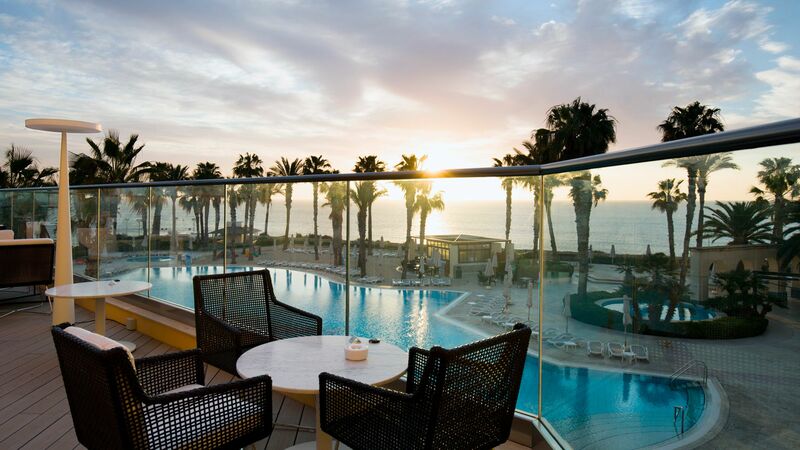 For those feeling a little more adventurous, the Hilton Malta is a great base for exploring the island, with beaches and other attractions just a short drive away. 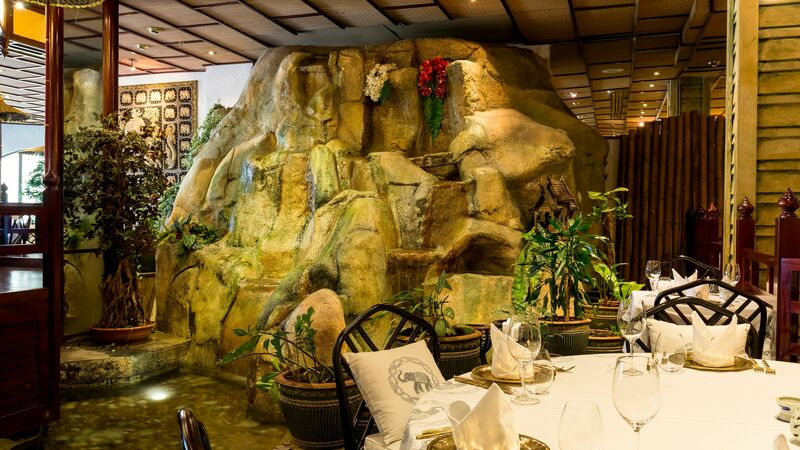 Experience Thai flavours at this stunning restaurant. Dine in view of waterfalls, flowering plants and huts - the décor has to be seen to be believed. This elegant restaurant is open throughout the day for breakfast, lunch and dinner. Enjoy fresh local produce from the rich waters surrounding Malta, alongside international favourites. The outdoor terrace offers the perfect place to relax and unwind. A lively bar and restaurant overlooking one of the hotel’s swimming pools, the restaurant boasts a broad menu and a range of drinks. The Hilton Malta Hotel features a man-made beach where you can take part in a range of water sports. The three swimming pools each offer plenty of room to bathe, as well as lots of loungers for sunbathing. Children will enjoy their own shallow kids’ pool. During the summer months children can join the Kidz club. There’s a games room and a kids’ pool, and babysitting is available at extra charge. 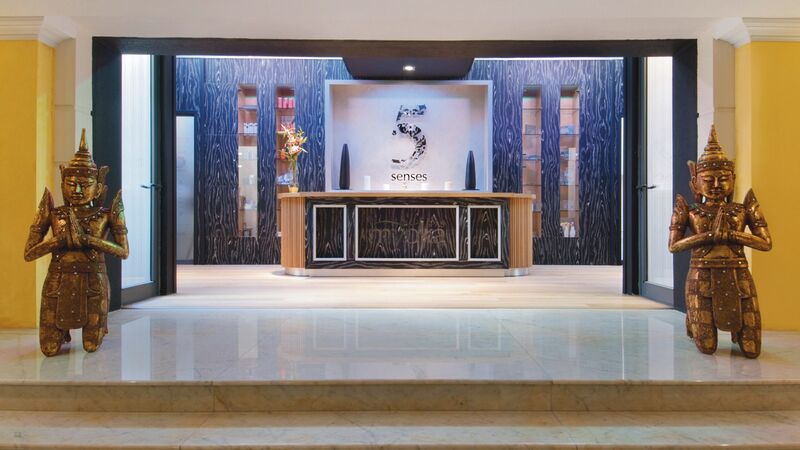 The Myoka 5 Senses spa offers a wide range of treatments, leaving you feeling relaxed and pampered. There’s also a Toni & Guy hairdressers for those looking for a trim before an evening out. Open: 10:00 - 20:00 Monday to Friday, 10:00 - 19:00 Saturday to Sunday. 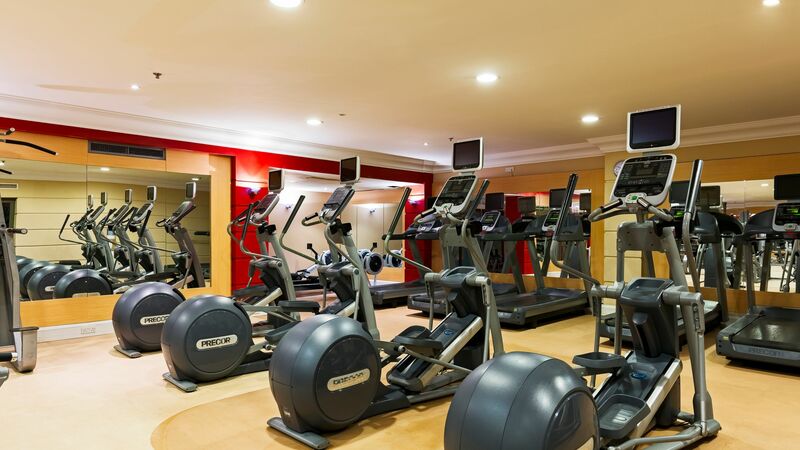 The Hilton Malta has a fitness centre with a fully equipped gym and indoor pool. 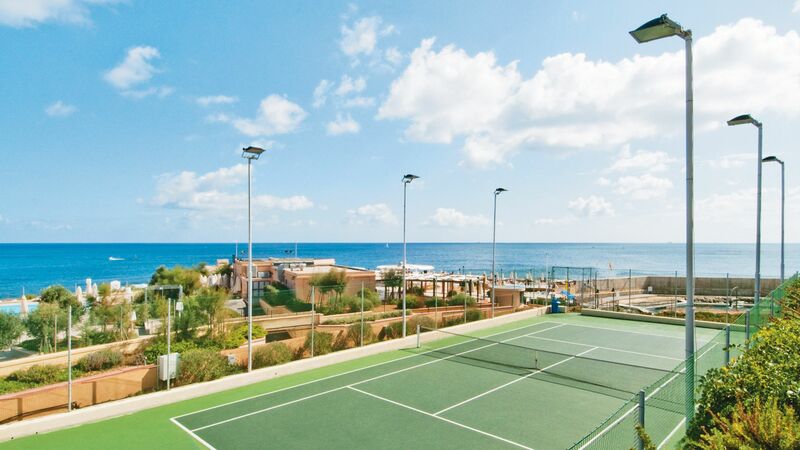 The hotel offers tennis and squash courts facilities, as well as water sports on the nearby beach. 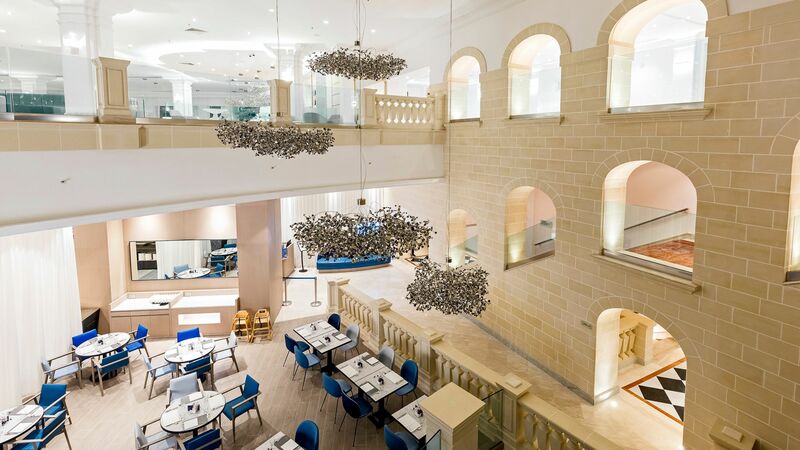 The Hilton Malta is located in St Julian’s, which is just a short drive from Malta’s capital Valletta. St Julian’s is a lively resort with a wide range of bars and restaurants. At its heart is St George’s Beach, a small sandy cove where you can sunbathe and swim. For those keen to get out and explore, nearby Valletta is a beautiful city with a rich and fascinating history. Malta is a former British colony, so don’t be surprised to see those iconic red post boxes dotted around the streets. Further along the coast you’ll find some of Europe’s finest beaches, like the pretty Ghajn Tuffieha. Deluxe Garden View Rooms are Mediterranean in style and measure 37m² to feature king size or twin beds, ensuite bathroom with luxurious bathroom amenities and a private balcony or terrace with views over the hotel gardens. Deluxe Marina View Rooms are Mediterranean in style and measure 37m² to feature king size or twin beds, ensuite bathroom with luxurious bathroom amenities and a private balcony or terrace with views over the Portomaso Yacht Marina. Deluxe Sea View Rooms are Mediterranean in style and measure 37m² to feature king size or twin beds, ensuite bathroom with luxurious bathroom amenities and a private balcony or terrace with stunning sea views. Executive Sea View Rooms measure 36m² and are decorated in a contemporary Mediterranean style. They feature one king size or two queen beds, air conditioning, bathroom with bath and separate shower and a balcony or terrace with sea or marina views. Guests staying in an Executive Room also have access to the Executive lounge offering continental breakfast, afternoon snacks, refreshments and pre-dinner drinks and canapés. Just returned from a short break with my 15 year old son staying at the Hilton. We had a fantastic time and the Hilton Malta exceeded expectations, even for someone like me who stays in lots of hotels. We were checked in at the exec lounge and Adam and the lounge manager got our experience off to a great start, being friendly and efficient. Our room was on the ground floor overlooking to pool and was excellent. Clean, spacious, modern and comfortable. 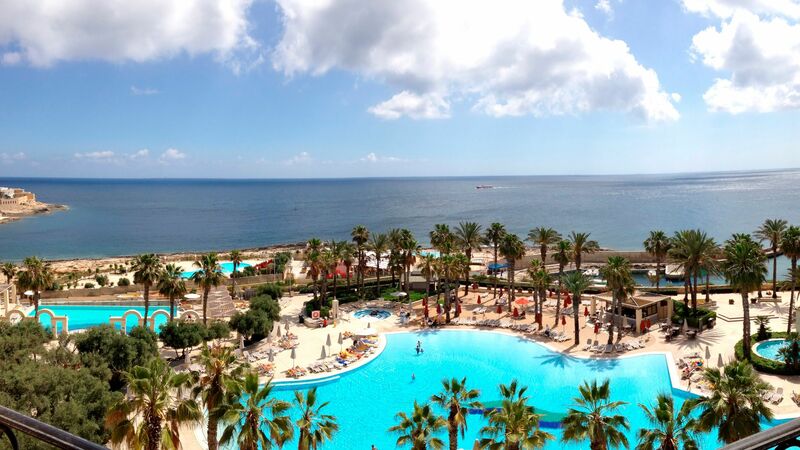 Facilities in the hotel are great with the pool area a pleasant place to enjoy Malta’s weather. I’d recommend a trip to Valletta which was pleasant to explore. We went by bus which was cheap and quick. There’s plenty of choice with bars and restaurants in walking distance to the hotel. We’ll definitely be returning in the future. Only minor suggestion for improvement would be pool heating. The outdoor pools were cold. However I’m sure this will improve as the season moves on. Thanks for a great stay. I booked this hotel for a special treat for my daughter's 21st birthday. It was our first time to visit Malta. It is in a very good location close to all the tourist sites and with excellent transport links. The staff and customer service we received were second to none. The hotel and rooms were super clean and the beds were the comfiest we have slept in. We were upgraded to a sea view and the breakfast in the morning was in a beautiful restaraunt overlooking the sea. The marina view was equally stunning. Special thanks to Ryan and Frederico who went above and beyond. From the moment we arrived the reception, Cleaning and catering staff were very friendly and curteous and nothing was too much trouble. We had an excellent stay and would highly recommend it. All round great stay. Really helpful staff. Very clean in rooms and in public areas. Well kept hotel grounds. The high tea at exec lounge was a highlight. Location was very good. V central and good for transport links. Didn’t really use poolside bar and kids club wasn’t open yet. So can’t comment on those. “ Well worth the money! I might gush a little bit on this review as I was well impressed so please bear with me. This is one of the best Hiltons I've ever stayed at and was totally worth the money. The hotel is majestic and has a beautiful view of both the marina and the sea from the upper terrace. The rooms were a good size and had all amenities provided to make your stay comfortable. Our rooms were overlooking the marina and we had a beautiful balcony so it was really beautiful. Only slight problem we had with amenities was our air conditioning which didn't go below 22.9 degrees even though we set it to 20 degrees so the last 2 nights i had to open the balcony doors which cooled the room down. The outdoor pool was a bit too cold to swim in for most of the days we were there which was a shame but it was great to sunbathe by the pool and we got to use the indoor pool which was nice and wasn't too busy. The gym was well equipped and wasn't too busy all the times I went and I got to go to a couple of classes which did get busy but were really good. Dining was a delight (for the most part). We had half board so dinner was included in our package which was a great option. You should be aware though that ordering off the main menu in the Oceana restaurant and for any orders at Blue Elephant you only get £25 allowance towards your dinner and not an open order. For the nights when a buffet was available, this did not apply. There was also an additional 10 euro charge on one night for a child in our party as there was an uneven number of adults and children (apparently it was free for one child per adult). In addition water and drinks are not included in your package so if you have a large party it could easily be a big bill just for your drinks. We had one night when the service was slow but the Food and Drinks Manager, Pascal, sought us out the next day to apologise and do right by us which was very nice. All the staff at the Hilton Malta have received superb training that came through in all their interactions. They were kind, attentive, helpful and friendly. There wasn't a single person who wasn't checking to see if our needs were met or if we needed anything in the most non-intrusive way. We had 4 children and each one of them was sad to leave and had made friends with a few of the staff. Special mention to the following people who made our stay memorable: Gianluca at front desk Robert at the concierge Mario the porter Thea - Oceana restaurant front desk (she was a total star) Emanuela - Oceana restaurant front desk Annu - Oceana restaurant Nazzareno - Omelette cheff (really makes the best omelettes) John - Food and Drink Manager (Oceana) Pascal - Food and Drink Manager Airlyn - Housekeeping And the duty manager who gave good tips on what to do in the town, I'm sorry I forgot his name. All in all it was a fabulous experience and I can't wait to go there again.